New Service Time Starts June 7! 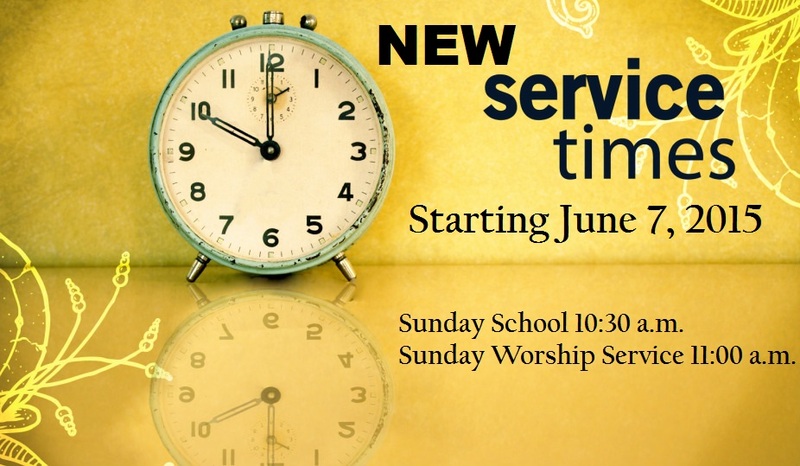 Our Sunday Service Time is Changing! Effective June 7, 2015 our Sunday School will begin at 10:30 a.m. and our Worship Service at 11 a.m.